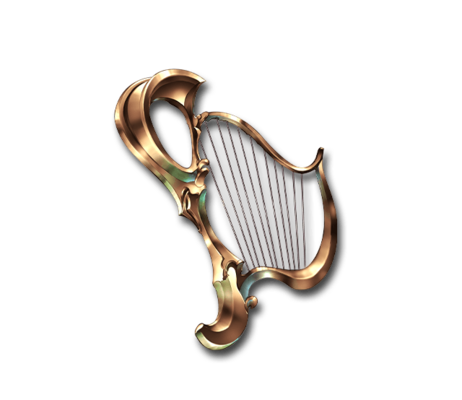 4★ Complete Arriet Lvl 45 Fate Episode "The Mysterious Musician"
All who listen to the wandering minstrel strum this harp are bathed in radiance. The notes drift about in the air like pinpricks of light, pulled by deft fingers into a melody that grants peace to both human and demon alike. All thoughts of violence drift away on the breeze along with the final notes. Useful for Superstar/Elysian/Drum Master until Nine-Realm Harp Ventus or at 4★ as an alternative to it when the healing effect isn't wanted in Enmity setups. This page was last modified on 30 March 2019, at 13:31.